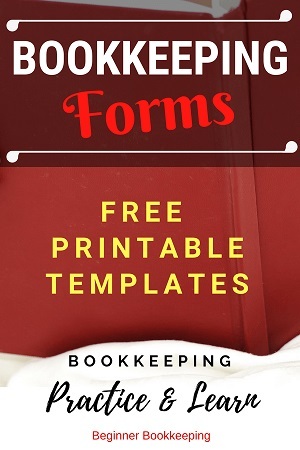 Here are 30 free, printable bookkeeping forms and templates to help you maintain your small business manual bookkeeping system or to use as bookkeeping practice worksheets, or just to see what basic accounting forms look like. 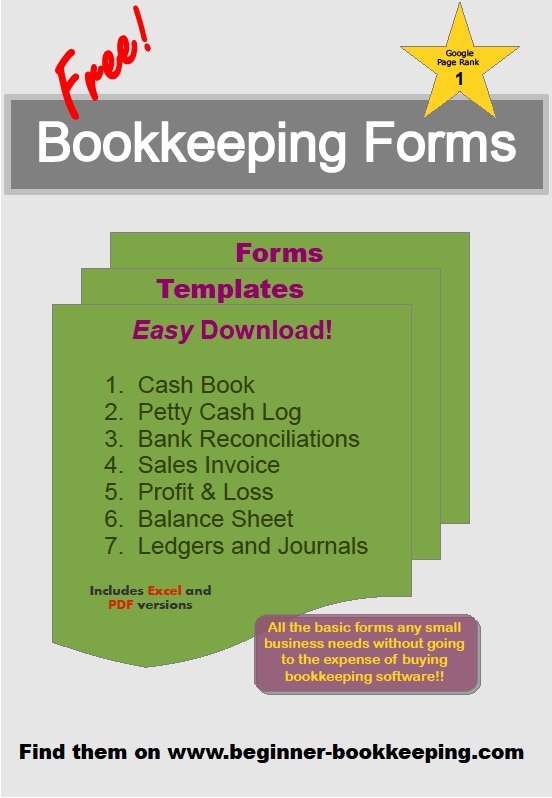 Get 10 printable forms in PDF in one download - "10 Bookkeeping Forms and Templates". 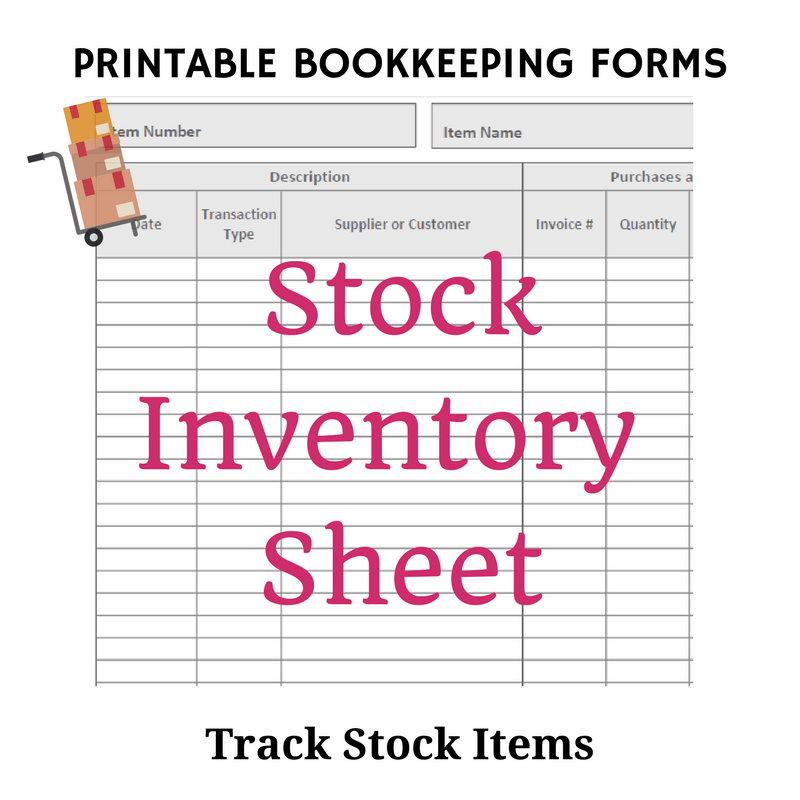 Included are completed manual bookkeeping examples and a mini guide for single entry and double entry bookkeeping. 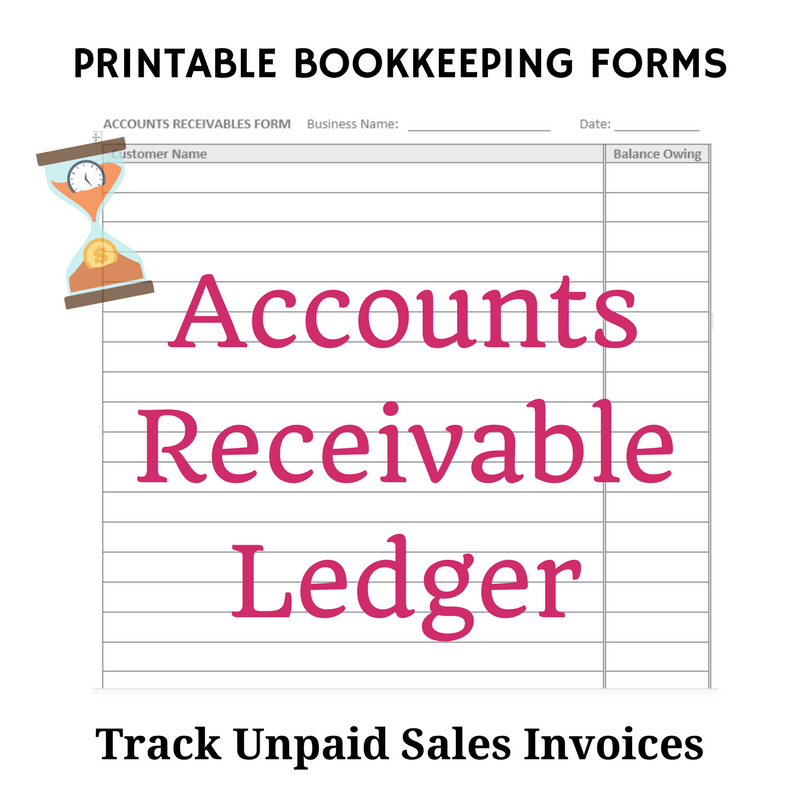 Some of the bookkeeping and accounting forms listed here have been pulled together for easy access from various parts of this site. They are all in PDF format. Under each form is a short explanation of their purpose with links to the posts that go into more detail of what they are and how to use them. To download a form to your device, click or tap on any of the graphic images below. Open it up and save it to your filing system. If you can't see it, go to the 'Downloads' folder on your device. 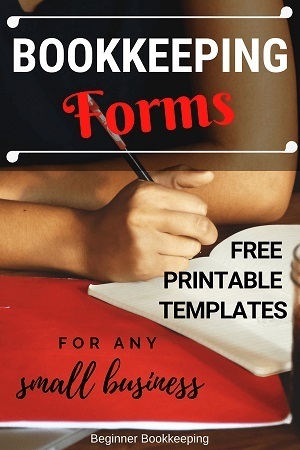 Download as many forms as you require. 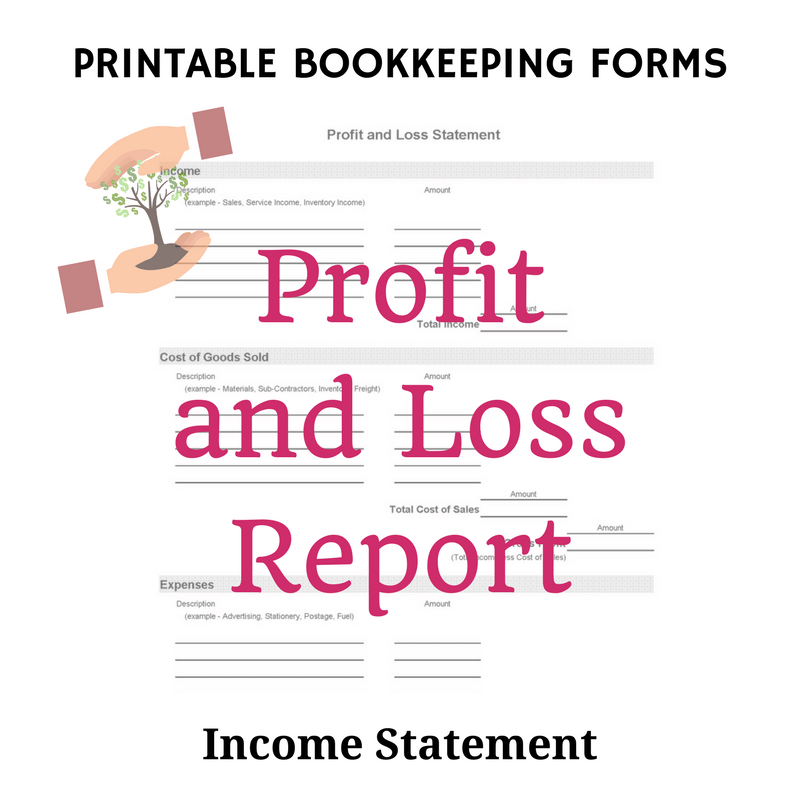 These forms are useful as templates for self-employed people or treasurers of clubs, or small start-up businesses who are keen to maintain a complete or partial manual bookkeeping system. 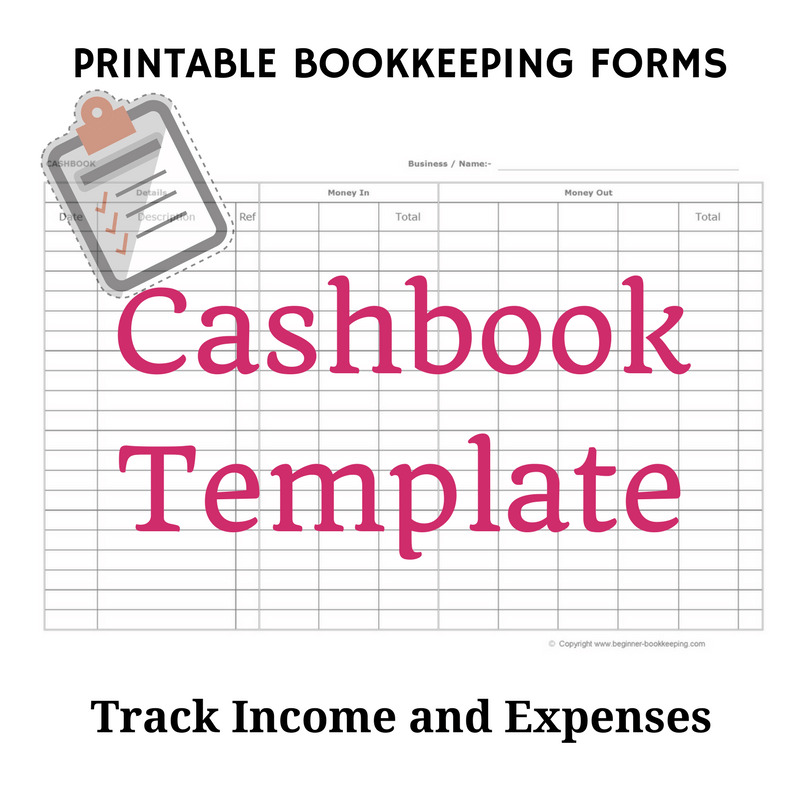 Perfect for recording and tracking income and expenses in single entry bookkeeping format. 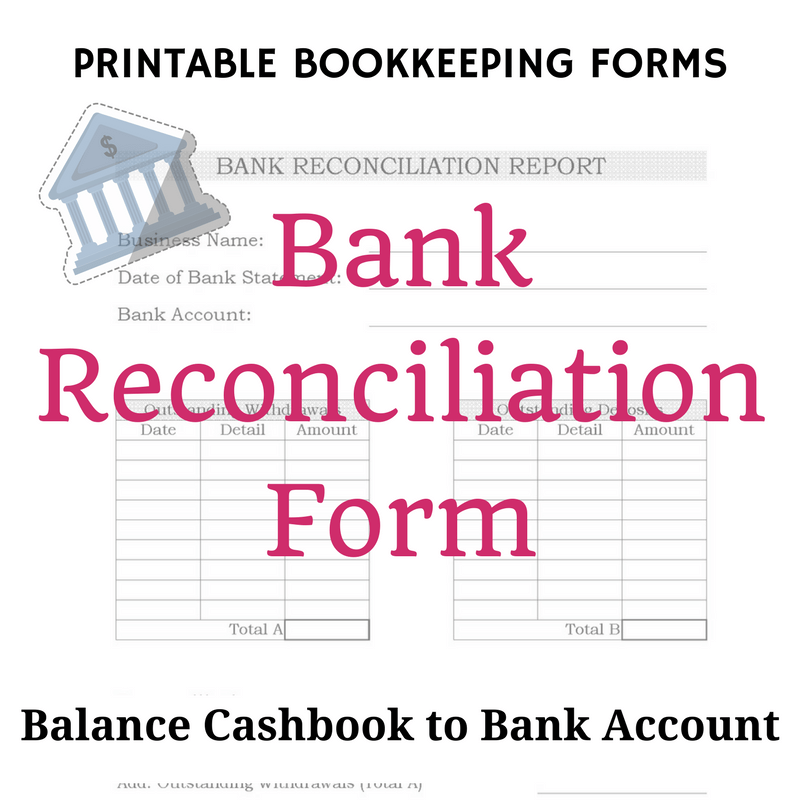 This form will help you reconcile your bank account to your cashbook so that the balances match. 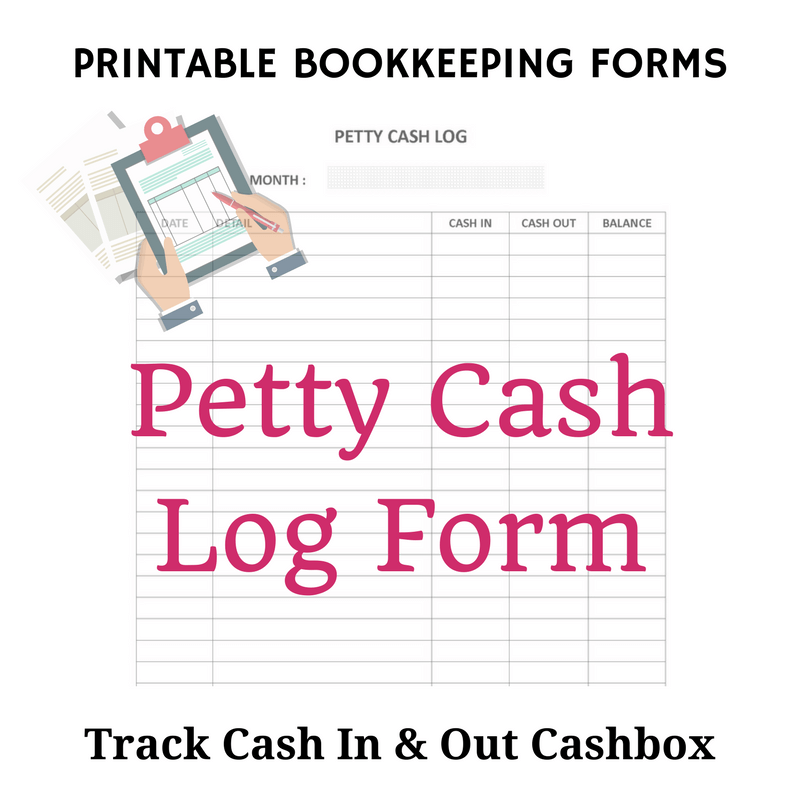 A simple form for keeping track of cash put in and cash taken out of the petty cash box. 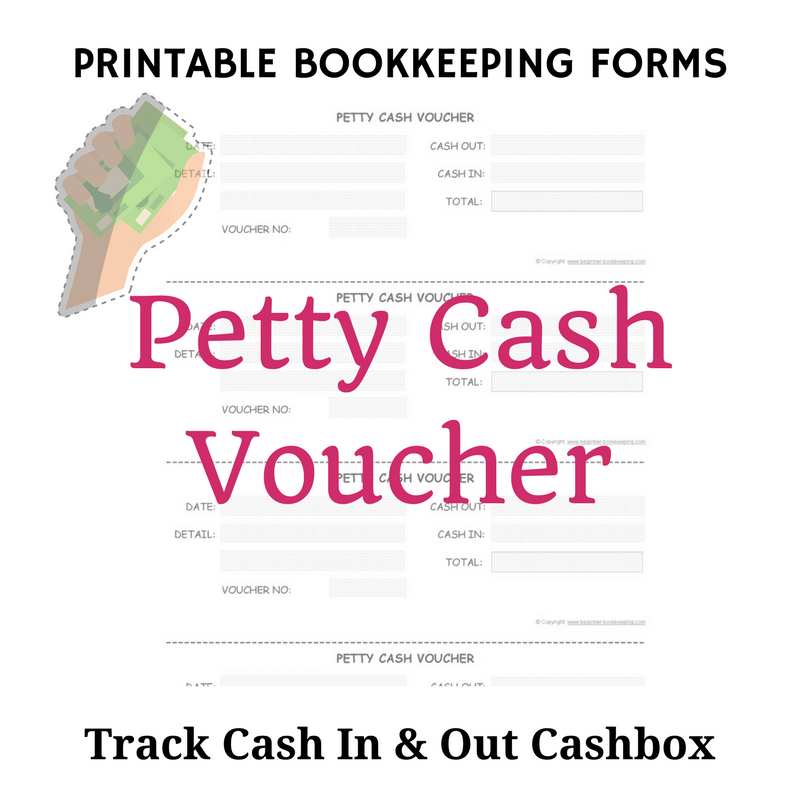 A small slip to fill in every time cash is spent from or placed into the petty cash box. 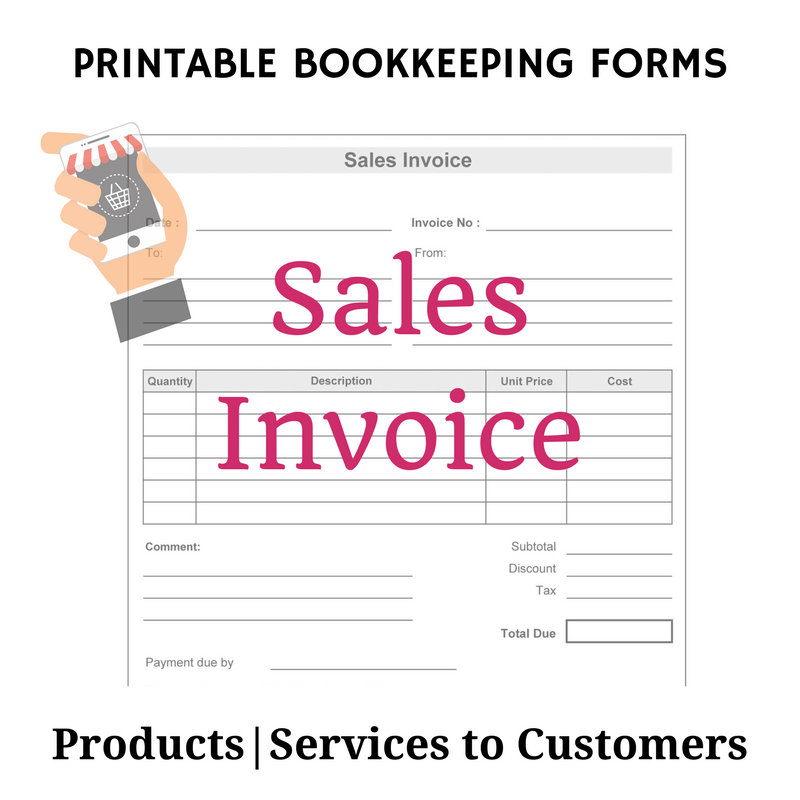 This sheet will ensure you have all the necessary information found on a standard sales invoice so that you don't miss off anything when charging your customers. Use for service or stock sales. 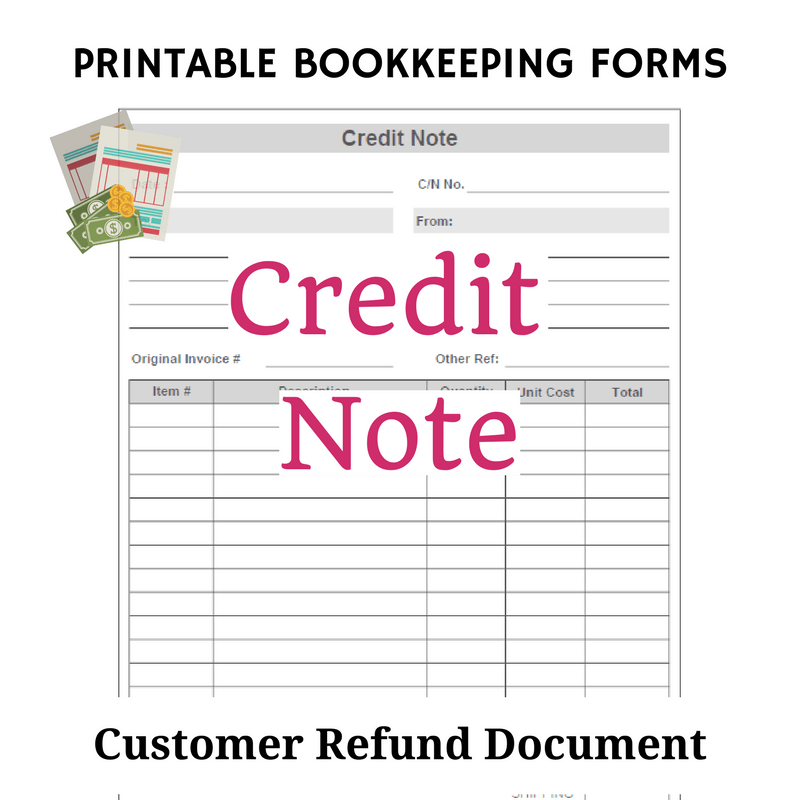 Use this form when your customer requires a refund for services or returned products. Apply the amount to one of their current unpaid sales invoices or pay them the money. 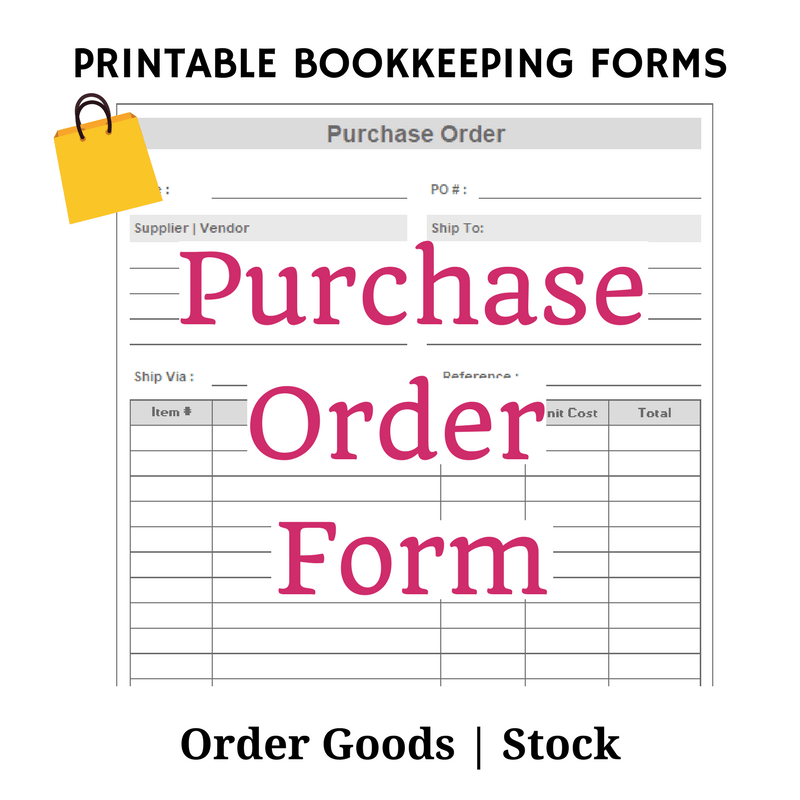 When ordering stock items from your vendor | supplier use this form and itemize them. There are cost and total columns but you can leave them blank if you don't know the costs; just fill in "Item No." and "Description". 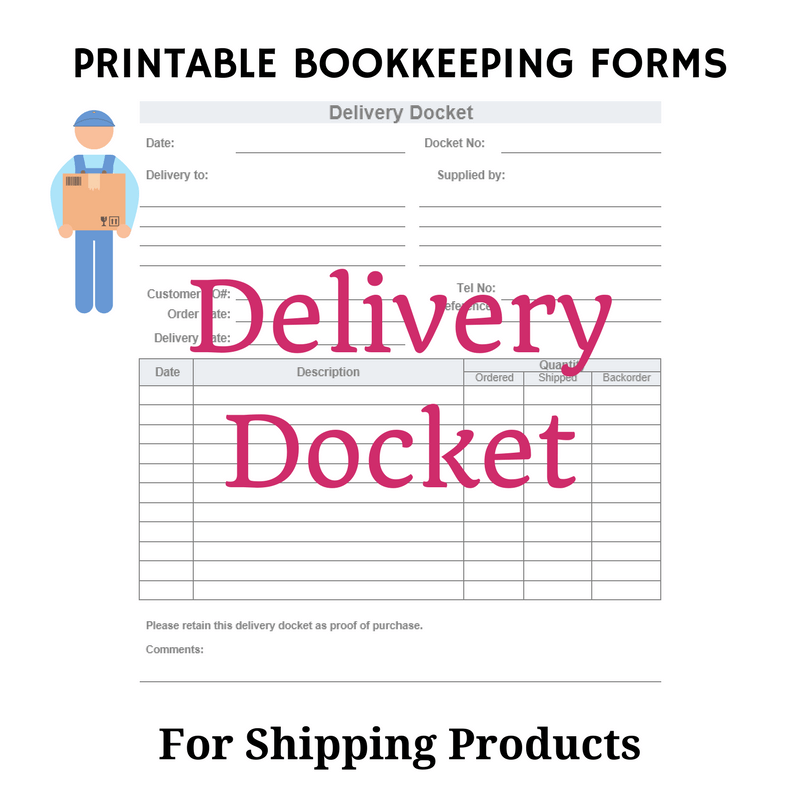 If you are shipping or posting goods, use a delivery docket to itemize what is in the shipment. 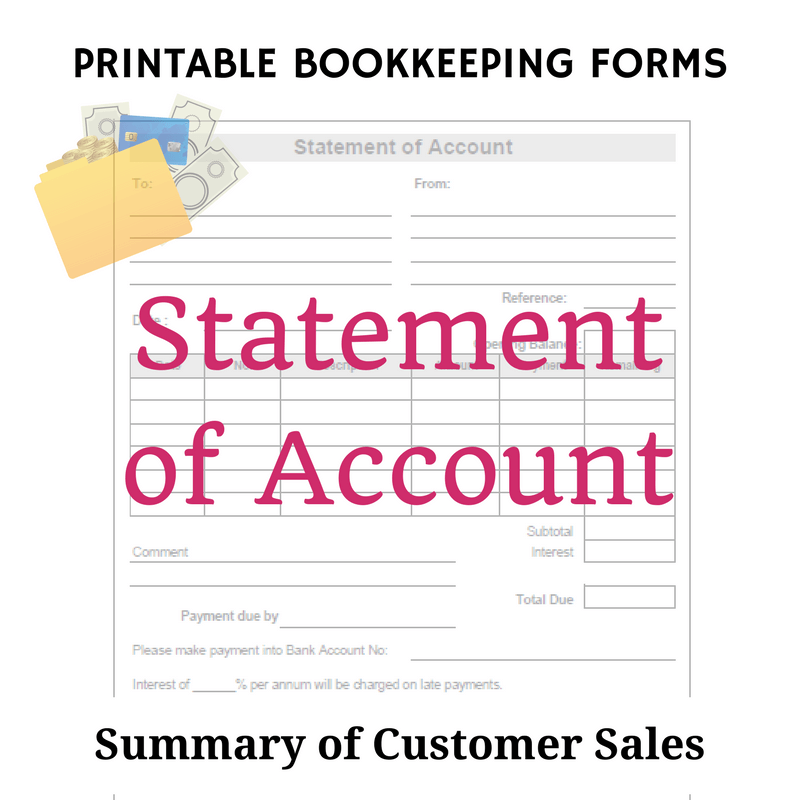 This blank template is perfect if you need to issue hand written statements of account to your customers once a month, summarizing sales made to them in a month and showing invoices outstanding for payment. 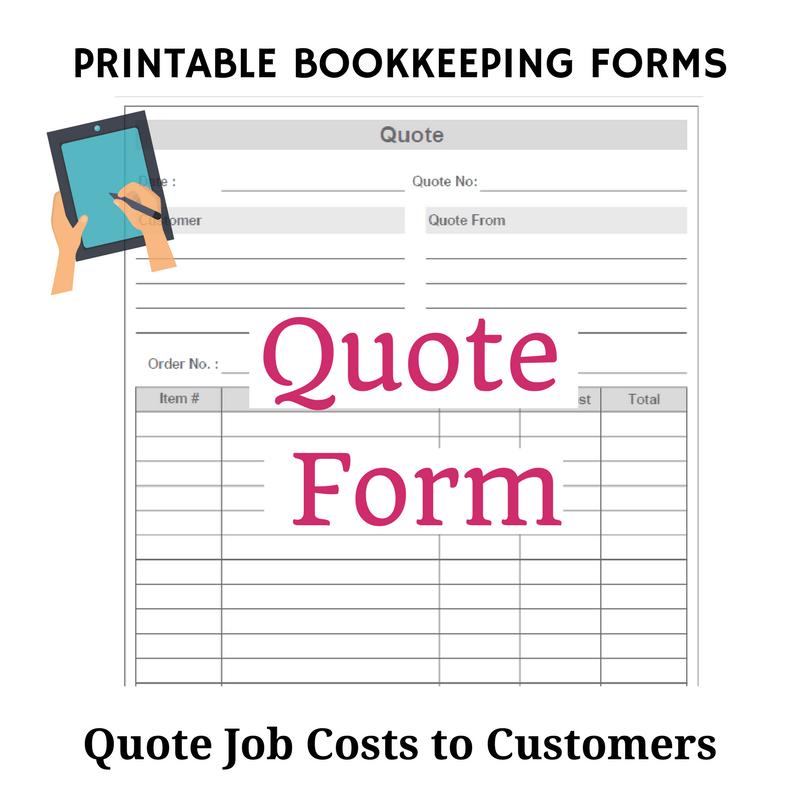 Calculate your estimated hours of service and materials and use this form to write them down and give to your customer so they can decide if it fits their budget. 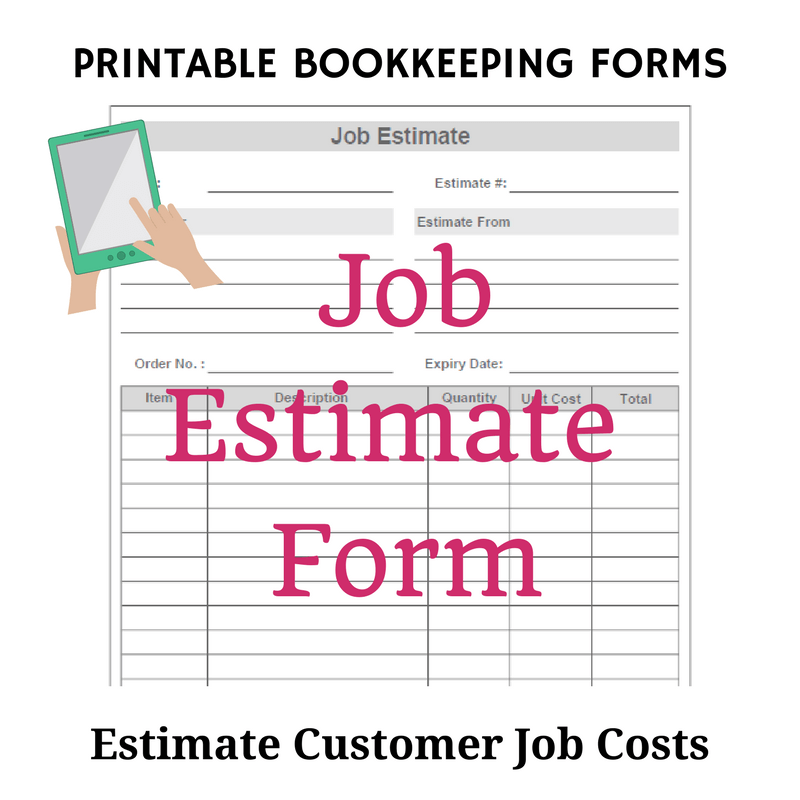 Estimate how much a job will cost your customer. Similar to the previous 'Quote' form. Track the purchases and sales of each of your stock item products. Helps you keep an up-to-date record of the quantity available and the cost value. Use one per stock item. 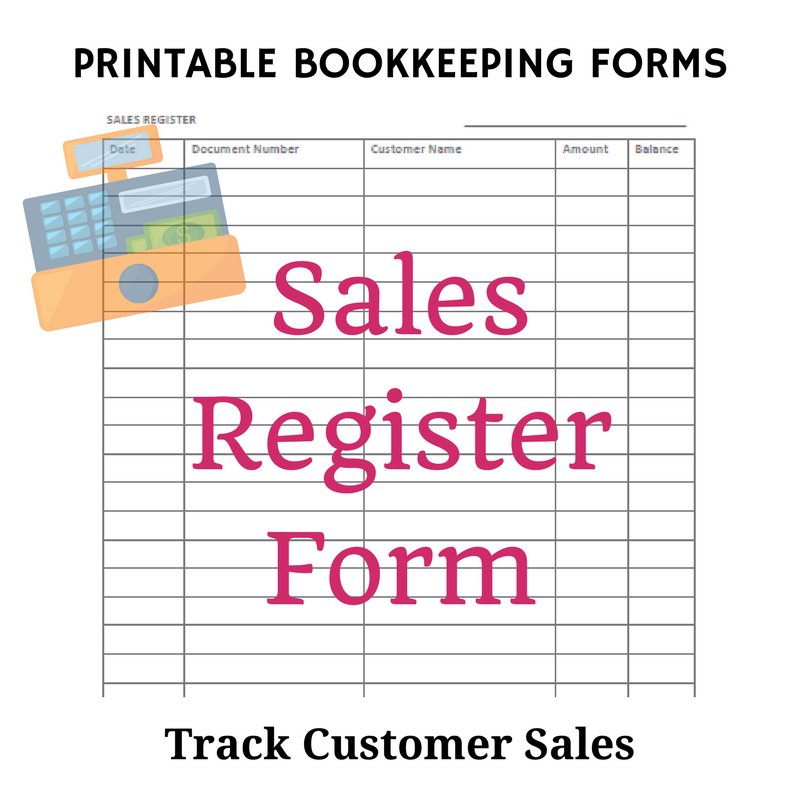 Use this sales register form to keep a summarized list of all your sales in date order. Write the main details from each sale. 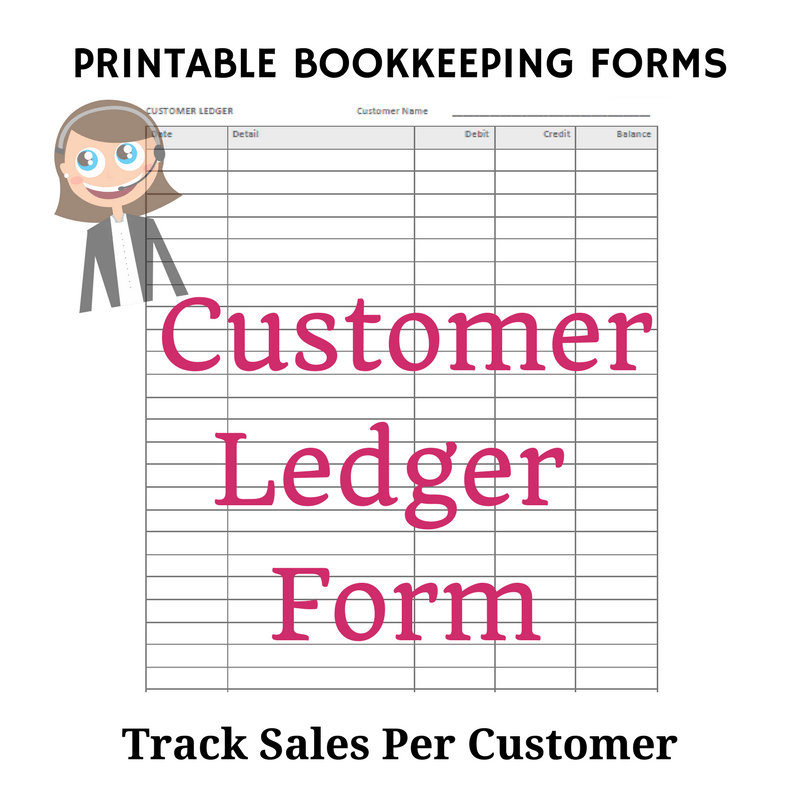 Use one form per customer. See at a glance how many sales have been made to each customer in date order. You would use this to prepare your statement of account form No.10. Once a month list out all unpaid sales invoices and start chasing down payment. 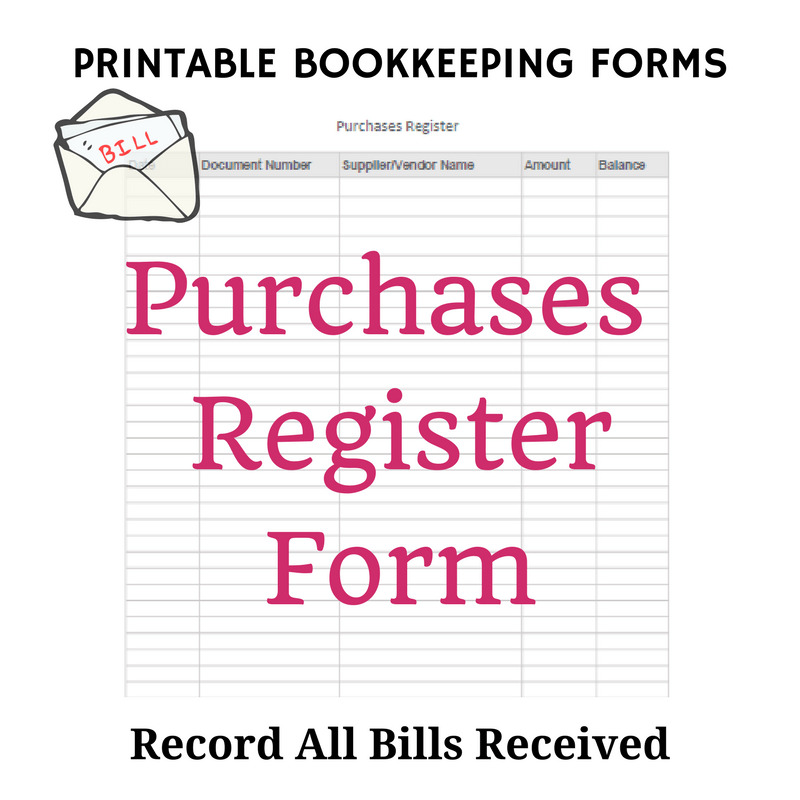 Use this purchases register to record all bills received in date order. 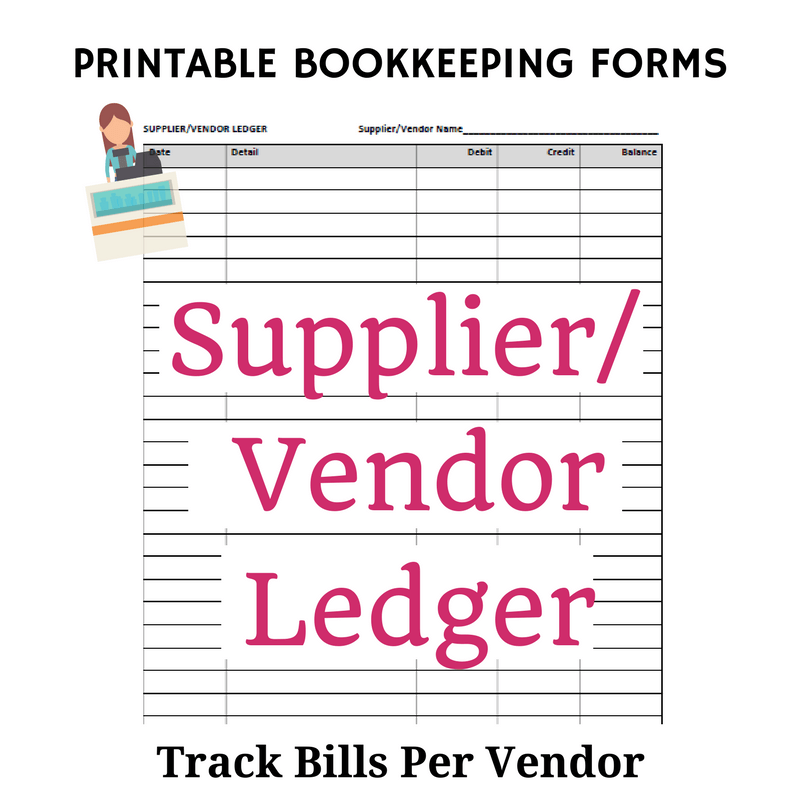 Use one form per vendor. See at a glance all the bills grouped under each vendor's name. 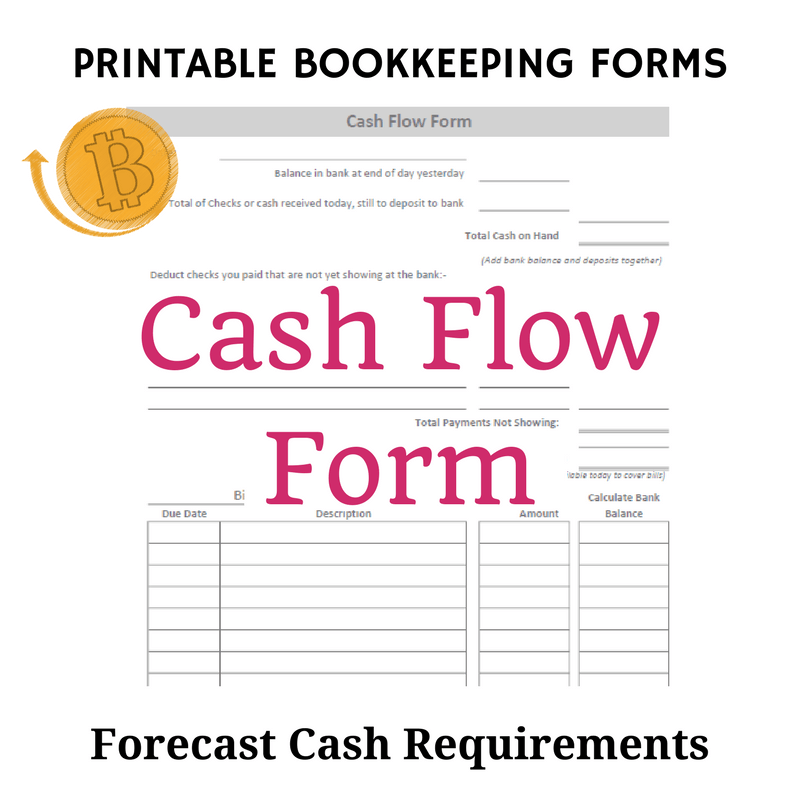 List out all your unpaid bills - use the cashflow form (see below) to help you figure out when you will have enough money to pay them. 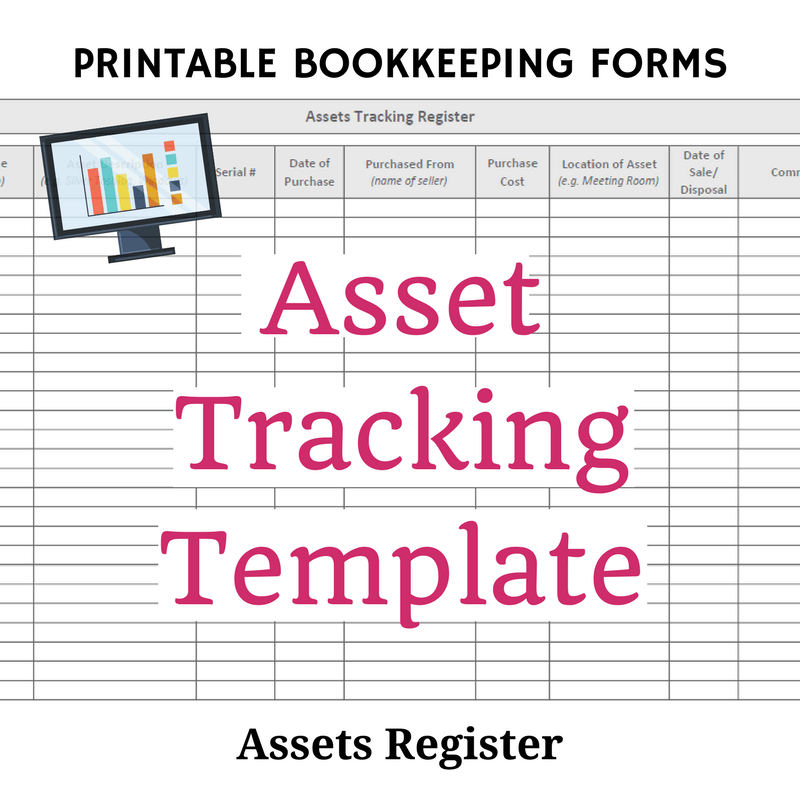 Keep a tracking register of your business assets (can be used as a personal assets register too). 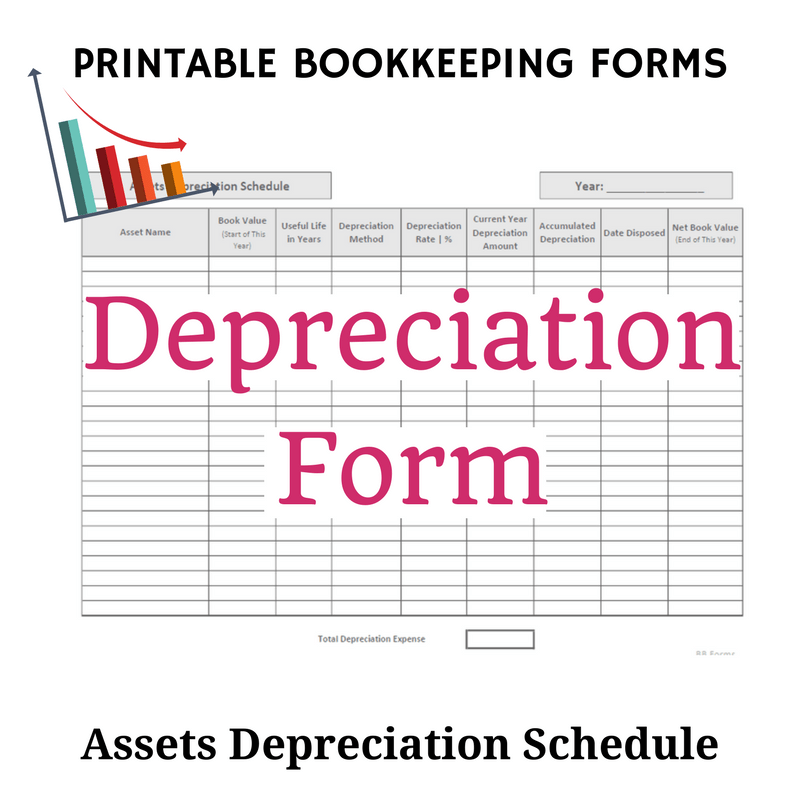 Calculate and record the depreciation expense of your assets. Put total into your profit & loss to reduce tax payable. 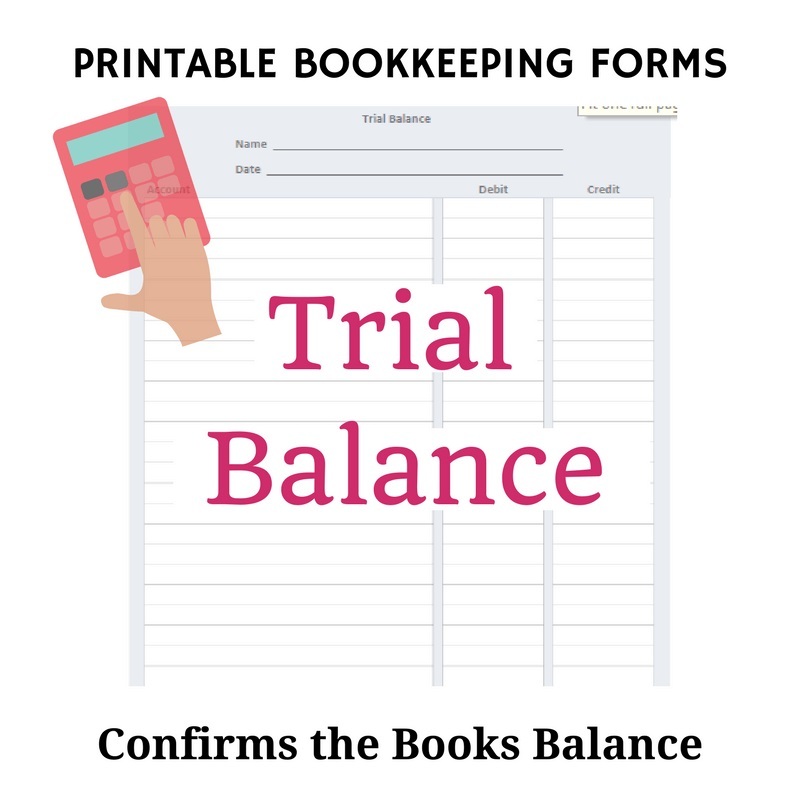 This is what you need if you are doing your bookkeeping without accounting software. It will help you figure out if your business is making a profit or loss. 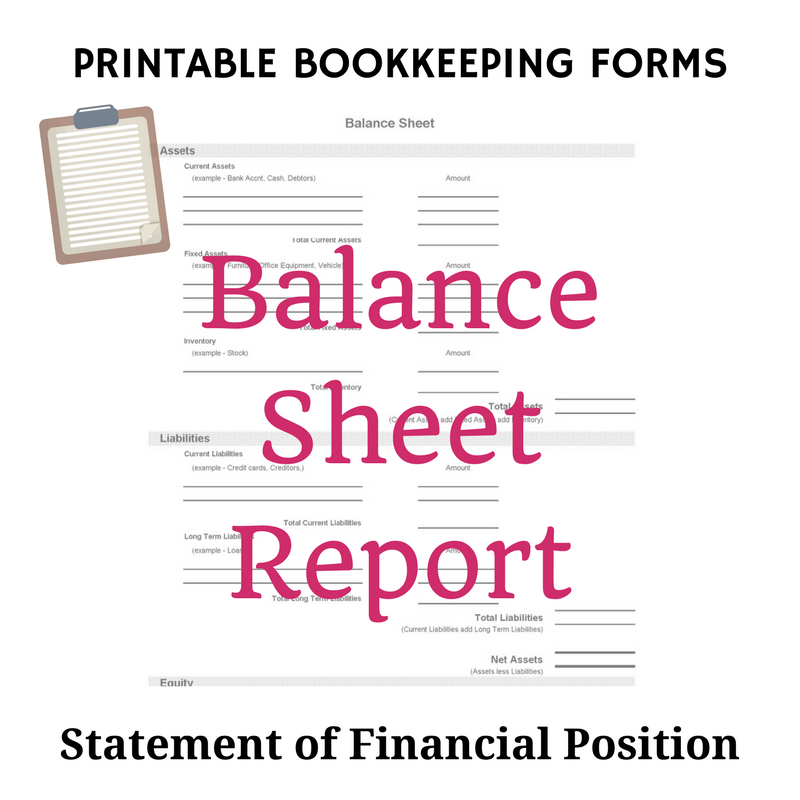 The free balance sheet template will help a business owner figure out what the business is worth. 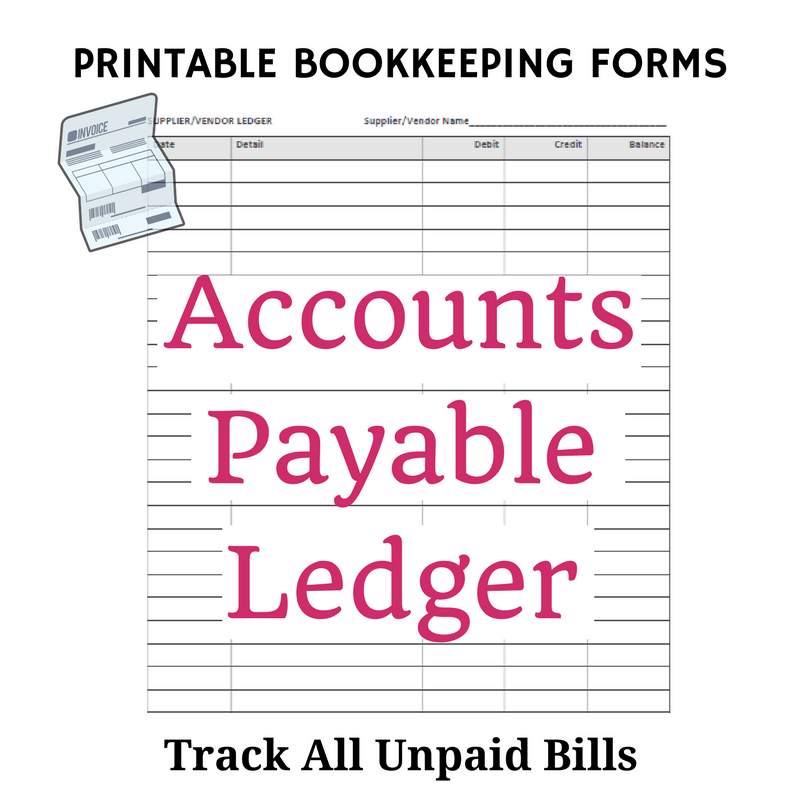 A report for tracking your cash available to pay bills. You can list the bills due for payment in the days or weeks ahead and monitor the bank expected bank balance. 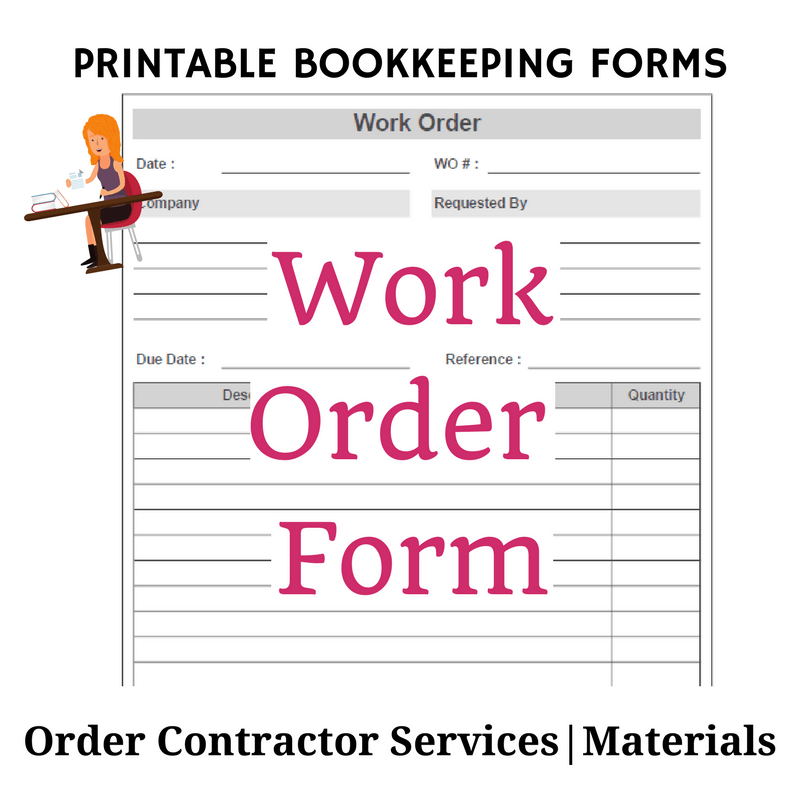 These blank accounting forms are perfect for students (or business owners!) 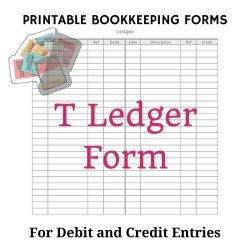 who want to practice double-entry bookkeeping, or for teachers who need to print and distribute blank forms to their class (including the business forms above). You have permission to print and use any of them - a reference back to this website would be appreciated. This download has two pages. 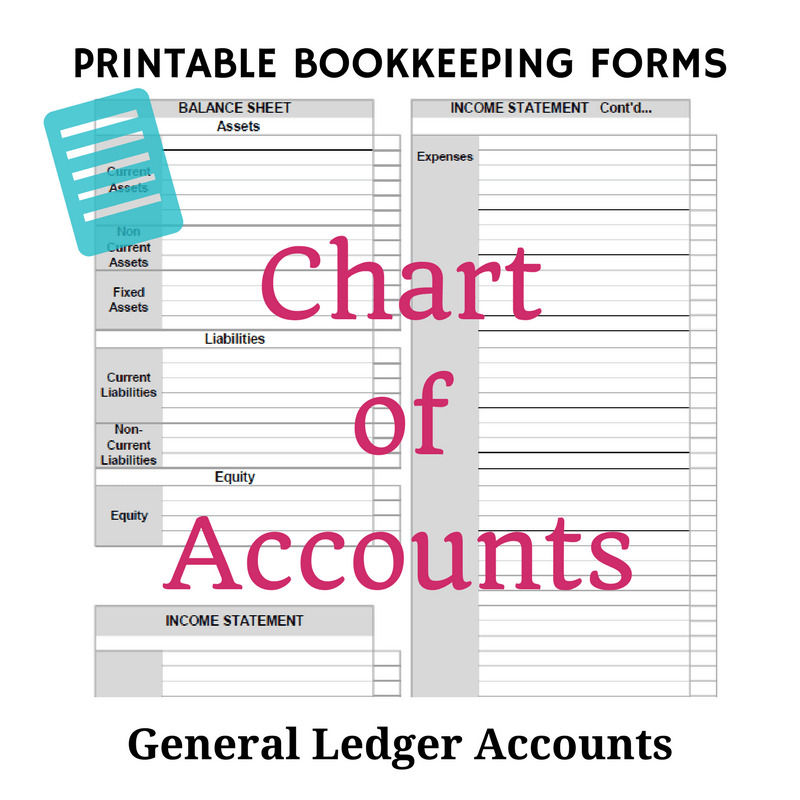 One page has a detailed list of common account names on a general ledger with boxes to tick the ones you want to use. The other page is a blank template so you can write out your own account names. 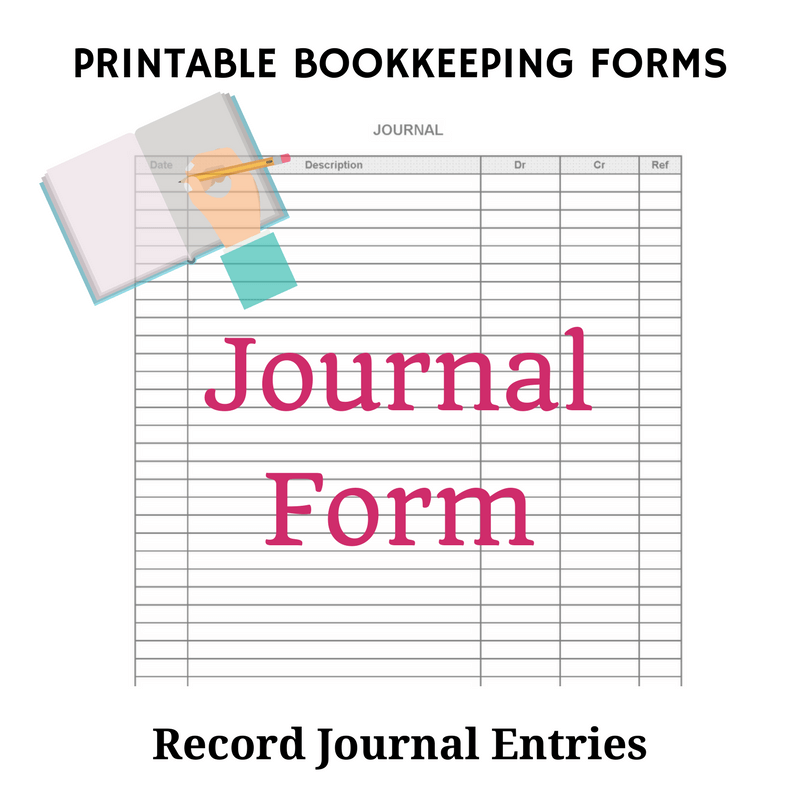 A bookkeeping journal sheet to help you record the 'story' of your daily financial transactions as per bookkeeping journals. This is a great template to use if you need to practice entering journals into the bookkeeping t-ledgers. 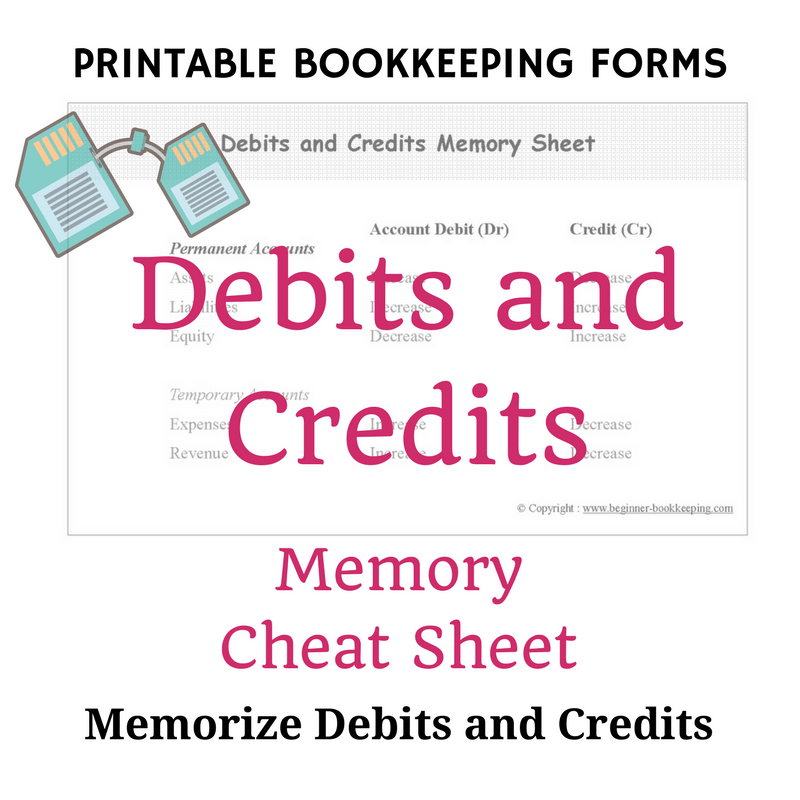 Enter in all debits and credits to balance the books. Used when moving accounts to new software or to confirm year-end balances. 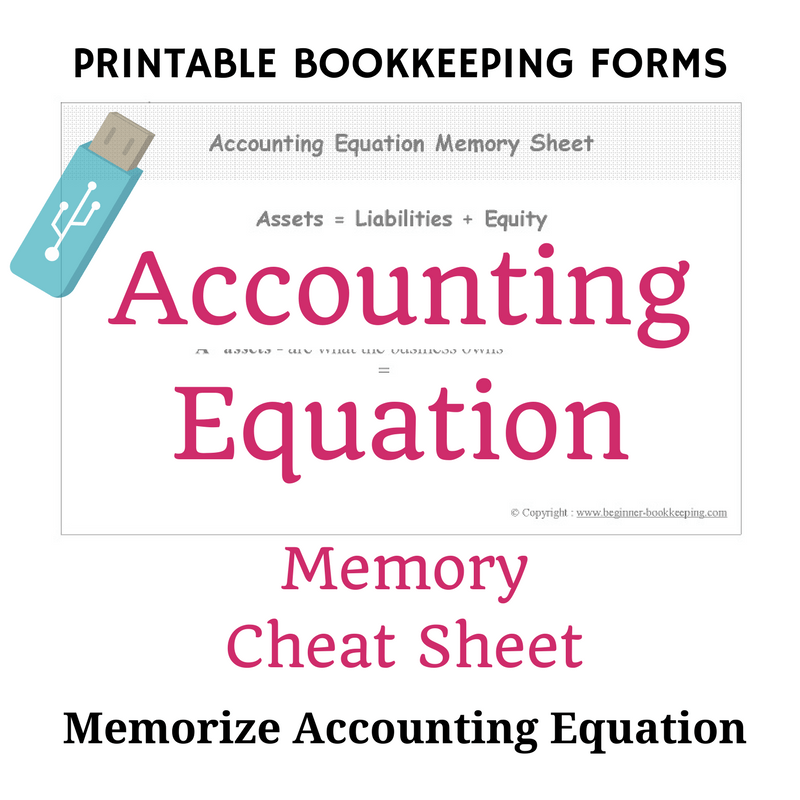 This sheet displays the accounting equation with a short description of each category.